Need wedges? 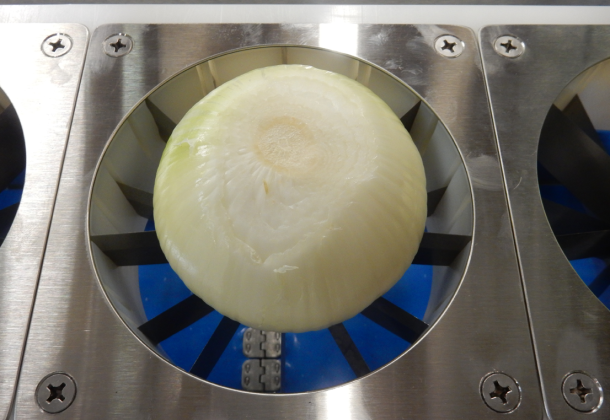 Cut 50-60 onions per minute with our Onion Wedger. This unit is constructed from stainless steel in order to withstand long term wear and tear. 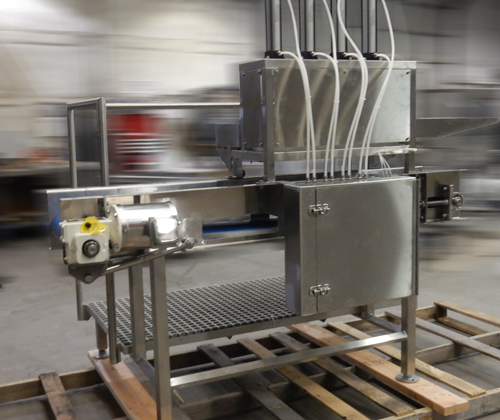 CMI’s standard Onion Wedger model consists of four pneumatic wedging mechanisms mounted above a take away conveyor with an attached table to accumulate the product prior to cutting. The wedging mechanism is designed to make sharp, precise cuts without crushing the product. 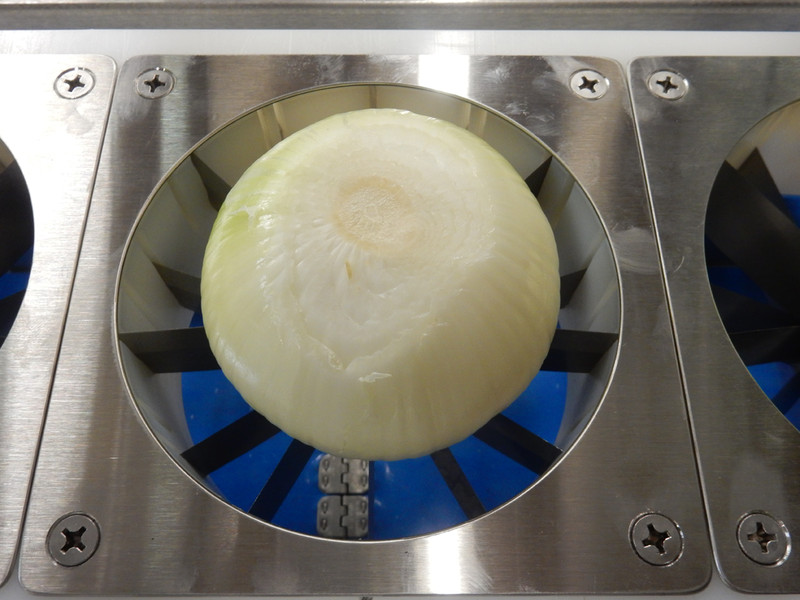 Operating the Onion Wedger is safe and simple. Only one operator is needed. 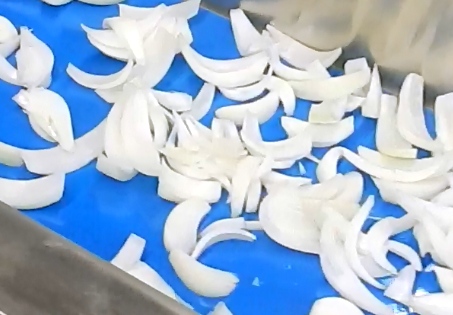 Onions are inserted manually into the cutting station. Once the onions are properly oriented, the two palm buttons are pressed simultaneously. 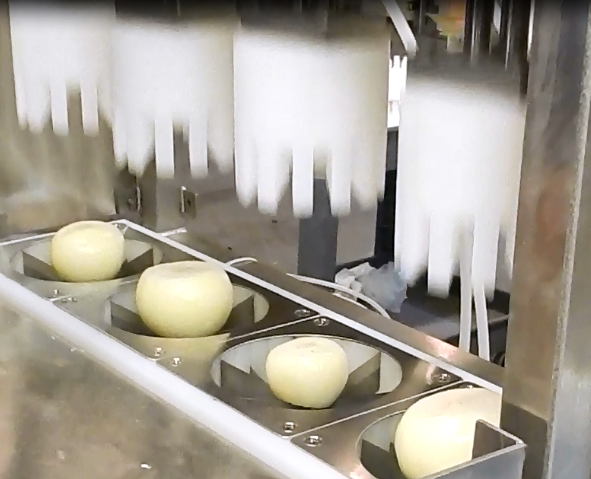 The palm buttons activate the push blocks to apply a downward pressure to the onion pushing it through the cutting head and forming uniform wedges. 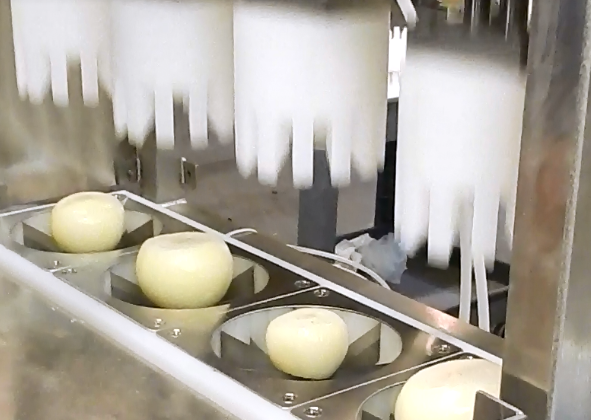 CMI’s Onion Wedger is not just limited to cutting onions. It can also cut potatoes, yams, and other various fruits and vegetables of similar consistency that will fit through the wedging mechanism’s five and a half inch diameter cutting head. 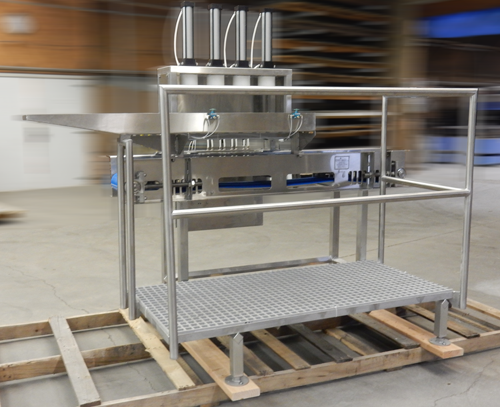 CMI also offers a fruit wedger for softer produce such as oranges, lemons, and limes. 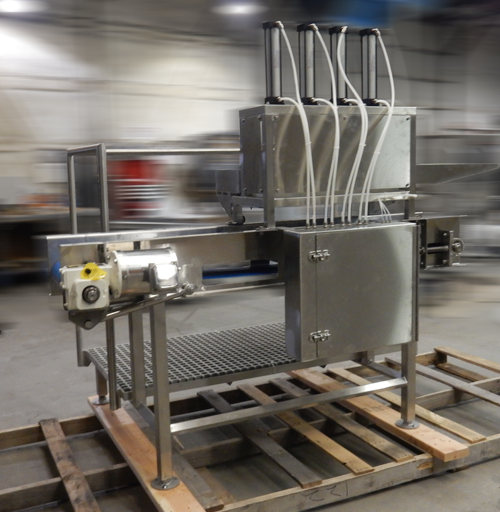 If your output requirement isn’t as demanding or you are limited on space, CMI can also offer a single or dual headed Onion Wedger. These smaller units can be mounted above a bagging station or just a plain table.